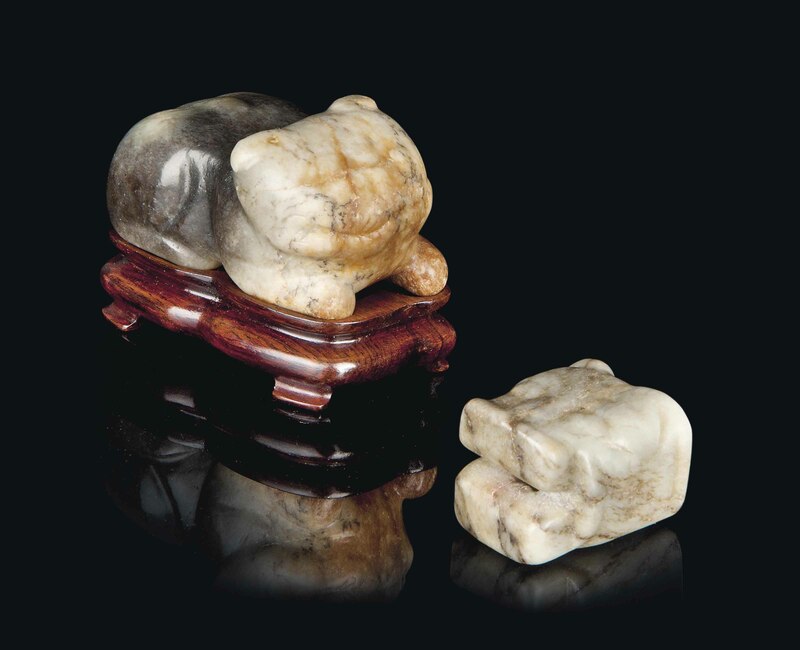 The group comprises a recumbent tiger, the stone is of a dark celadon and mottled tone with russet inclusions; a pendant in the form of a tiger's head, the stone is of a grey tone with mottled inclusions. The first, acquired on 18 June 1983 in Hong Kong. The second, acquired in 1973 in Hong Kong.